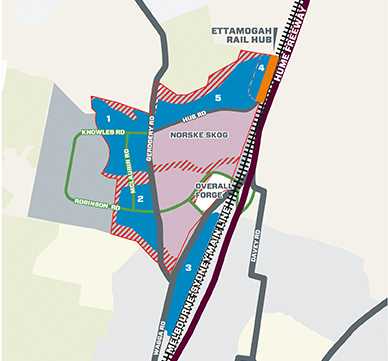 Ettamogah Rail Hub is a container handling, intermodal transport facility providing a rail-transport option for national and international freight to and from the Albury-Wodonga region. 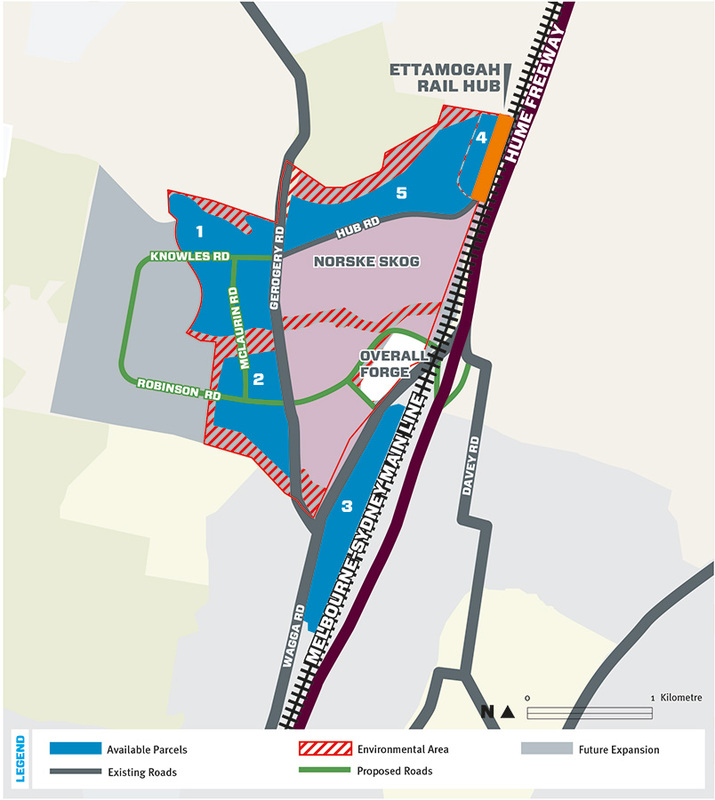 Ettamogah Rail Hub has its own rail sidings with direct access to the main Melbourne to Sydney rail line as well as the Hume Freeway. The hub commenced operation in July 2009. Further expansion is planned as business grows. Strategically situated 10km from Albury, the hub offers direct access to the national freight rail line and the Hume Freeway. The hub combines the flexibility of road transport with the efficiencies that are possible with rail transport. 3 sites now available for pre-lease from 2000sqm – 25000sqm. Suitable for warehousing/light industrial applications requiring access to rail for either the import of raw materials and /or transport of finished products. 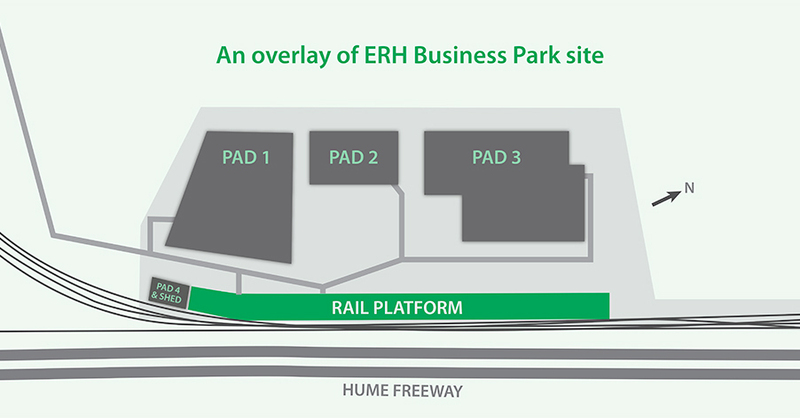 Private-road access to fully operational, common-user rail terminal with modern container handling facilities. Please direct all enquiries or requests for an inspection to 02 6025 0133. Located 10km north of the Albury CBD at Ettamogah, Nexus is a 450ha industrial estate suitable for large and heavy industry. The strategic vision for the development of Nexus focussed on smart infrastructure planning. As a result, Nexus integrates urban and environmental design to deliver, landscape, transport, economics, water sensitive urban design and sustainability principles, including an integrated Water Management Plan.